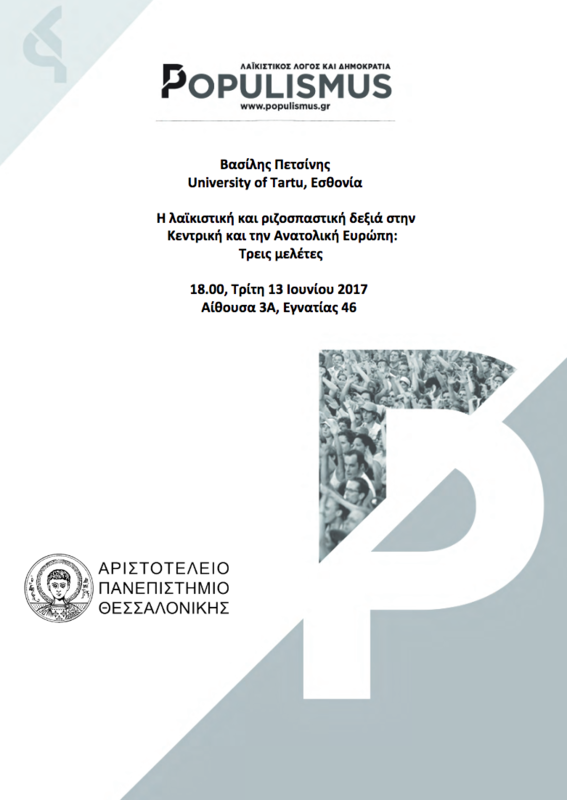 Abstract: This lecture will examine the cases of three populist and radical right-wing parties from Central and Eastern Europe with an increasing popularity in their countries. These are: the Estonian Conservative People’s Party (EKRE), Jobbik-Movement for a Better Hungary and the ‘Our Slovakia’ party (Naše Slovensko). The main questions here are: How have these parties succeeded in capitalizing on public grievances over the economic and/or the refugee crisis? 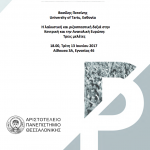 Is it only (or mainly) the economic and/or the refugee crisis to account for the increasing popularity of populist & radical right-wing parties in certain countries? 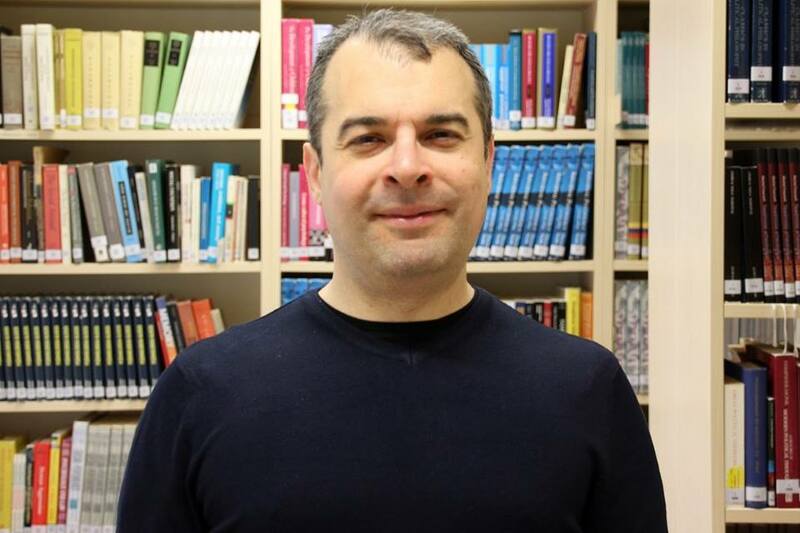 About the speaker : Vassilis Petsinis is a political scientist with an expertise in European Politics and Ethnopolitics. He holds a PhD from the University of Birmingham. 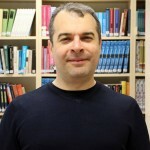 He has been a researcher and lecturer in Sweden, Slovakia, Hungary, and Germany, and has also worked for the European Commission’s representation in Greece. Petsinis is currently a Marie Curie Experienced Researcher (Horizon 2020) at the University of Tartu in Estonia (Johan Skytte Institute for Political Studies), conducting research on the topic of ‘Patterns and management of ethnic relations in the Western Balkans and the Baltic States.’ The study will compare the management of ethnic relations in two Western Balkan states (Serbia and Croatia) with the management of ethnic relations in two Baltic republics (Latvia and Estonia).